With all the busyness I have organizing a mission trip to Kenya; a wise friend suggested I make some time for myself. (Okay, so I was freaking out a bit under all the pressure.) Her sage advice, combined with an interview with author Randy Singer on the radio program Chris Fabry Live and an unclaimed gift card abandoned by my son all converged to bring me to purchase "The Advocate." 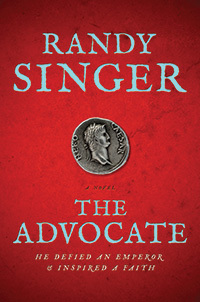 I have to tell you, "The Advocate" was the perfect book for me; I absolutely loved it! It's a work of historical fiction based on fact that takes place during the Roman Empire. 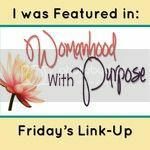 It was also great timing, because when I started reading "The Advocate" I had just finished reading the book of Acts in my Bible reading plan. I don't think you have to be a Christian or even familiar with the Bible to enjoy this book; it would be a great read for any history buff. While it does accurately recount Scripture as far as it's included, the majority of the book details life in the Roman Empire, its provinces and those who rule them. In the Bible, Luke is the author of the books of Luke and Acts, both of which were initially written as letters addressed to a man named Theopolis. The salutation used in the book of Luke, "most excellent Theopolis," indicates Luke is addressing someone of high rank in the Hellenistic culture of that day. In case you're not familiar with the book of Acts, it ends with Paul under house arrest in Rome, waiting for his trial under Nero. "For two whole years Paul stayed there in his own rented house and welcomed all who came to see him. He proclaimed the kingdom of God and taught about the Lord Jesus Christ—with all boldness and without hindrance!" ~ Acts 28:30-31. Wouldn't you agree that's a strange way to end a book? Why didn't they at least include the outcome of the trial? "The Advocate" is written under the premise that Theopolis is Paul's attorney in Rome, and that the books of Luke and Acts were addressed to him upon his request for the background necessary to defend Paul at his trial. The book begins with Theopolis in class with his contemporary Caligula; already self-absorbed and showing signs of the evil Emperor he would one day become. After an encounter with Caligula, Theopolis goes off to Greece to study to become a lawyer, or as they would say, an advocate. His first assignment upon returning? Serving three years as the assessore, that is, the chief legal advisor for a prefect "in a province where a strong-willed people hated him (the prefect) with barely restrained passion." That province was Judea and that prefect was Pontius Pilate. Because of his position, Theopolis became an eye-witness to some of the events that took place during Jesus' final trip to Jerusalem; many years later he would even base a defense strategy on a method used by Jesus Himself. After His arrest, Theopolis was the one who suggested Pilate offer to release Barabbas, certain that Jesus would be the one chosen to be freed. The knowledge that his advice cost an innocent man his life would haunt Theopolis the remainder of his days. What did Jesus write in the sand when the woman caught in the act of adultery was brought to Him? 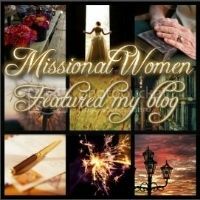 Why was Pilate's wife so adamant that Jesus be released? What made Pilate fear the Jew's threats to complain to Caesar? The book reveals there was a lifetime between the trials of Jesus and Paul. While serving Pilate was Theopolis' first assignment, defending Paul was his last. In between are the details of a very full life lived in the Roman Empire, complete with emperors, gladiators and vestal virgins. As a student of the Bible, I appreciate "The Advocate" because it reintegrates the history of Rome and the history of the Bible, placing the stories of Scripture into the context of world history. The events of the Bible make more sense now that I have a better understanding of the culture enveloping them. Do yourself a favor and treat yourself to a copy of this book! As always, all opinions are strictly my own and I did not receive anything in exchange for this endorsement. This sounds fascinating. I'll have to check it out. It really sounds interesting, not sure when I would have the time but I will have to check it out. Have a nice rest of the week!! Great review! And I love with someone takes historical events and brings them into a fiction story. Often I learn more form historical fiction, than I ever did in school - and then I go off on a quest to learn more about the subject matter. Thank you for this recommendation, Lisa. I absolutely love reading, but am much better about starting books than actually finishing them :). This looks like one that would keep my attention! Have a great weekend! This looks like another great read for hubby & me. I will put it on out TBR list. Thanks!! I would like to know more about the Roman culture. I'm glad you pulled away and had time to buy and read the book. Hope your trip to Kenya is successful and meaningful.